Proform oil priming tool for Small and Big Block Chevrolet. Used prior to initial engine start up and after prolonged periods of no use, this tool is the best way to ensure your engine will not start dry of lubricant. Simply remove distributor and install tool in domestic electric drill. Oil is pumped around the engine without any other metal to metal contact – also provides a great way of ensuring your oil pressure gauge is operating correctly prior to engine start. 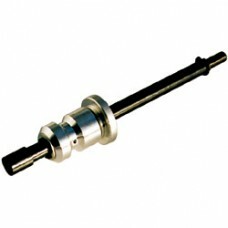 This superior design includes a bushing to enable oil pressure to the valve train. Every serious engine builder should own one.